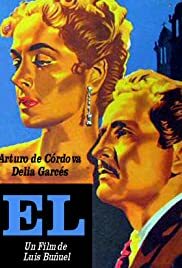 92 min [ Another motion picture from LUIS BUNUEL who gave you the unforgettable "The Young and the Damned" ] - Francisco is rich, rather strict on principles, and still a bachelor. After meeting Gloria by accident, he is suddenly intent on her becoming his wife and courts her until she agrees to marry him. Francisco is a dedicated husband, but little by little his passion starts to exhibit disturbing traits. Nevertheless, Gloria meets with scepticism as she expresses her worries to their acquaintances.